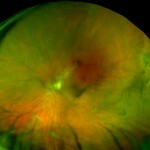 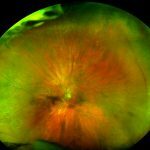 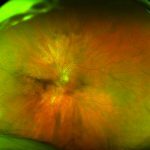 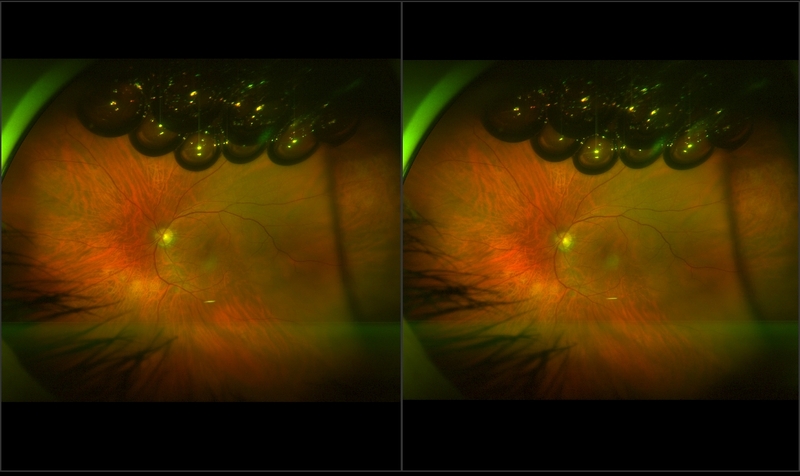 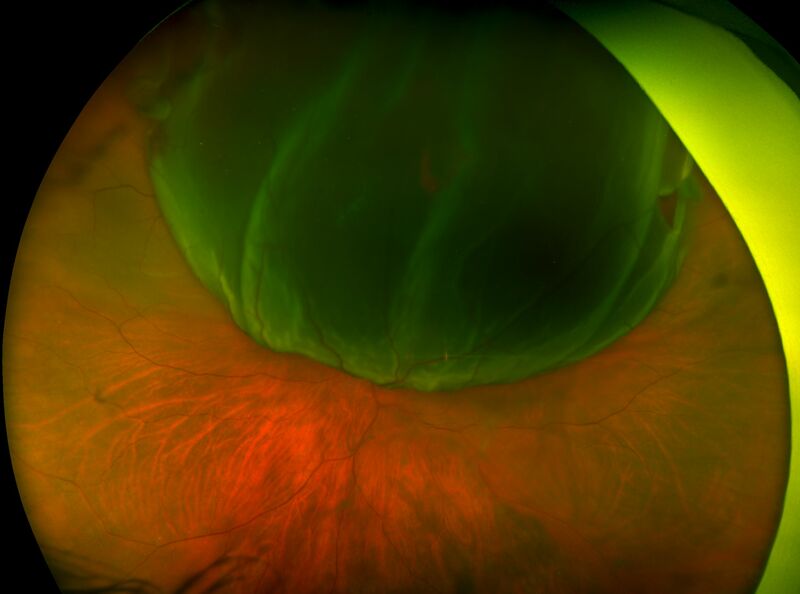 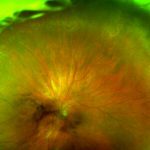 An operculated tear results from vitreous traction that pulls a plug of sensory retina out into the vitreous cavity. 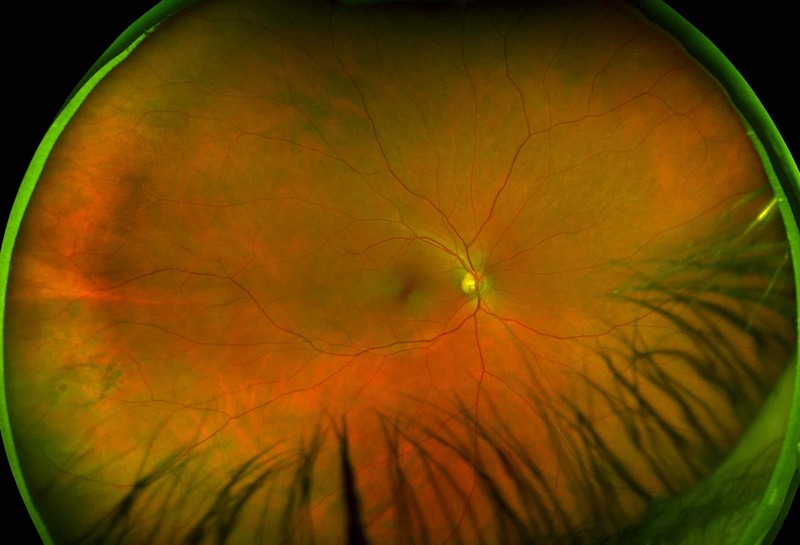 The most frequent cause of an operculated tear is a PVD. 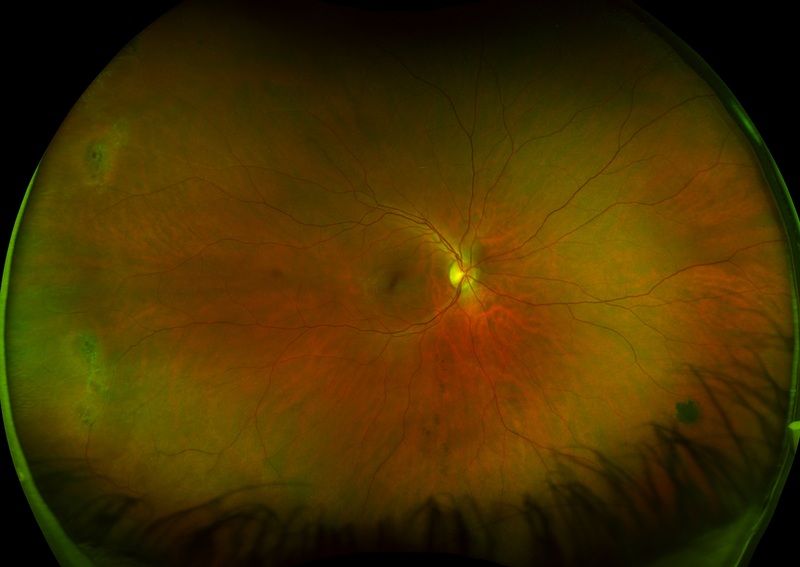 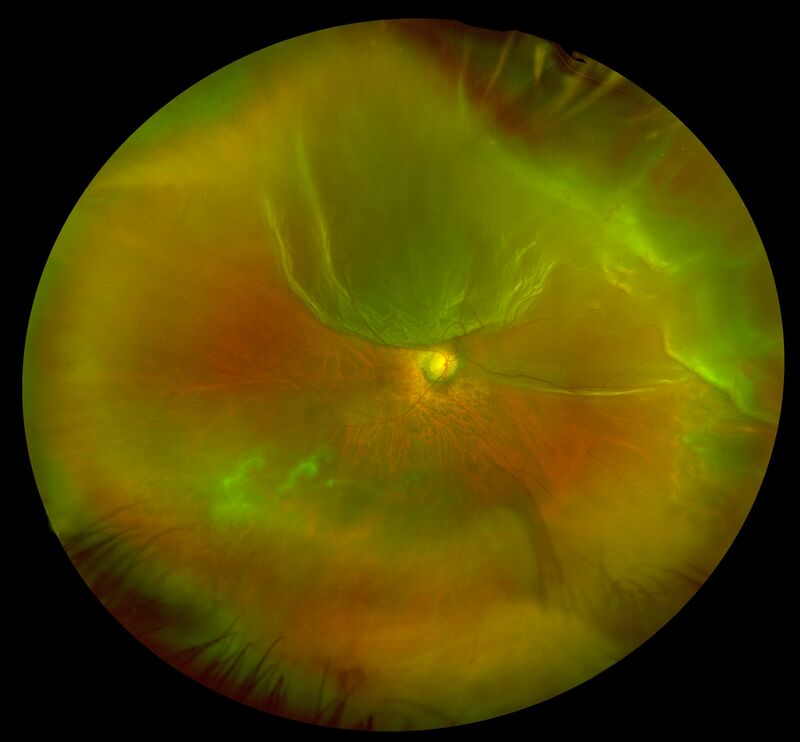 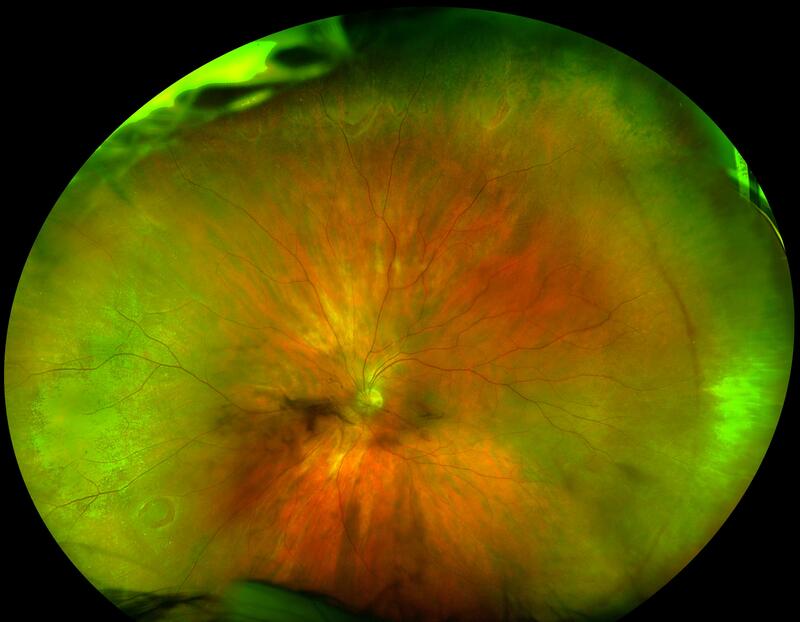 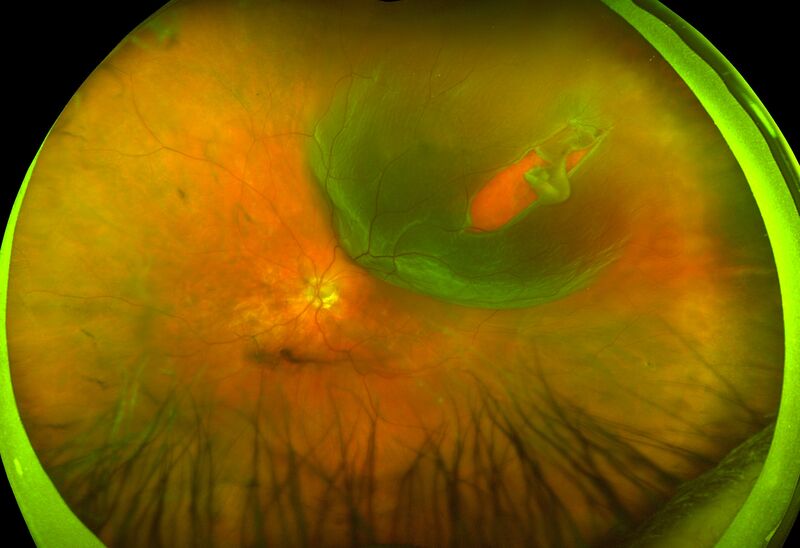 The appearance is of a round (sometimes slightly out-of-round) red hole with an operculum (means cap) floating in the vitreous cavity internal to it and still attached to the separated posterior vitreous cortex. 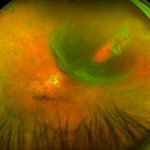 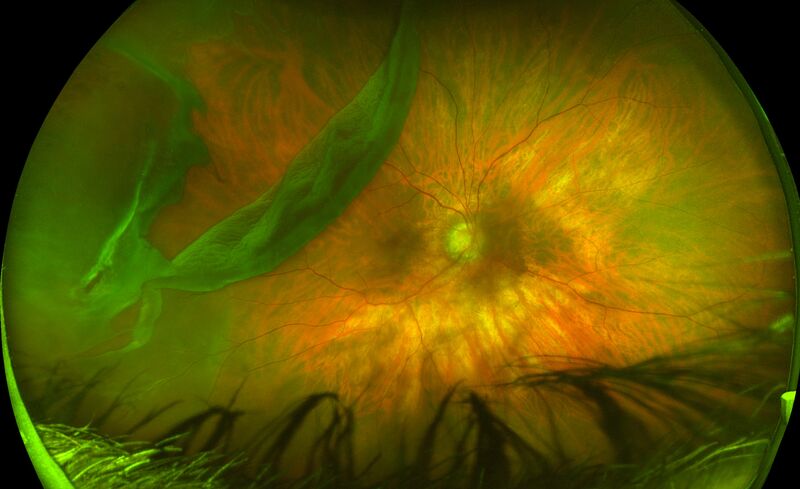 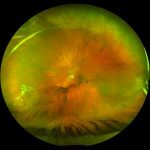 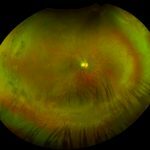 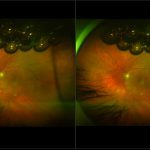 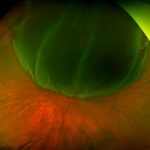 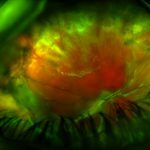 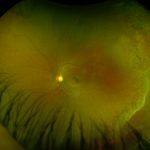 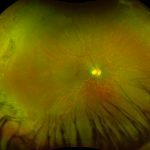 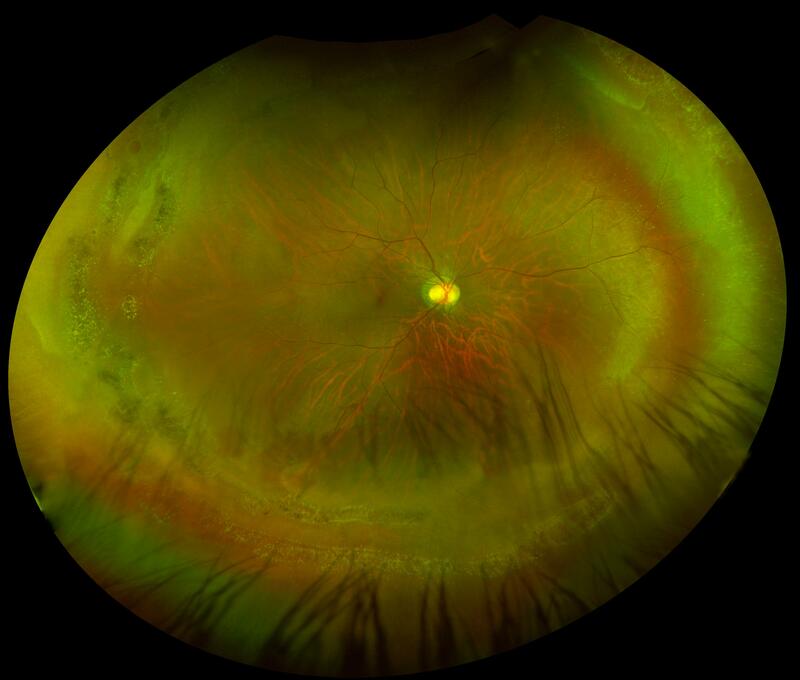 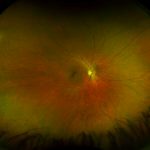 When the operculum is produced, this usually means that vitreous traction is released from the surface of the retina and thus, the chances of a detachment decrease significantly. 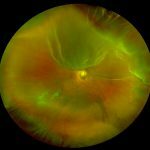 Sometimes there may be a white collar around the hole that represents a localized detachment (less than 1 DD from the edge of the break). 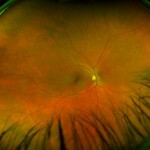 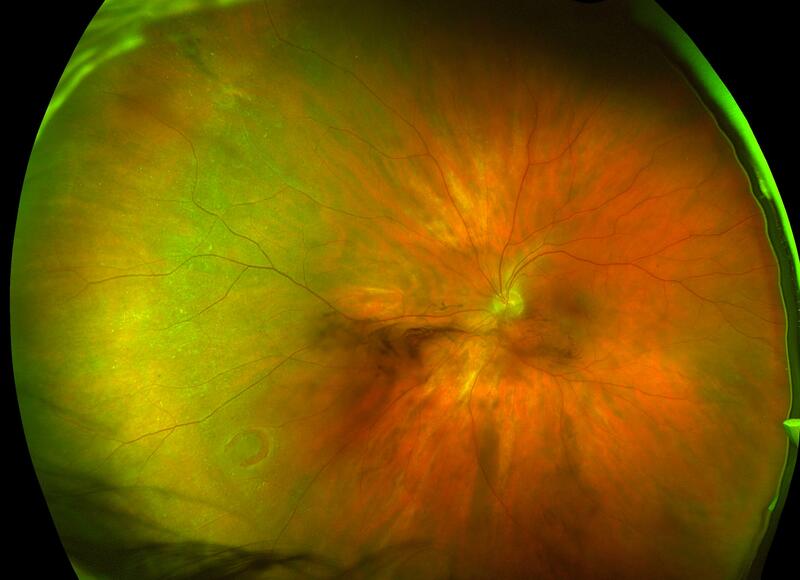 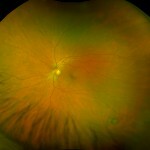 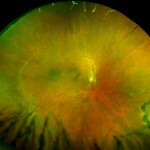 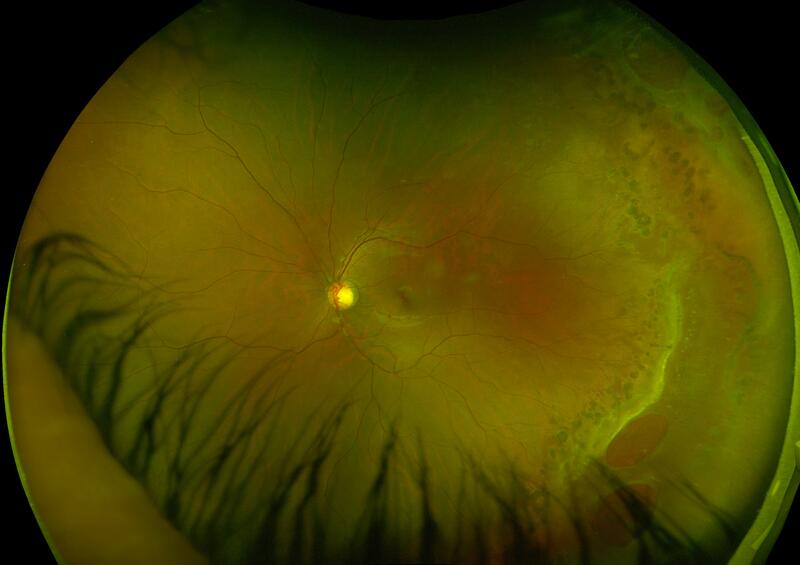 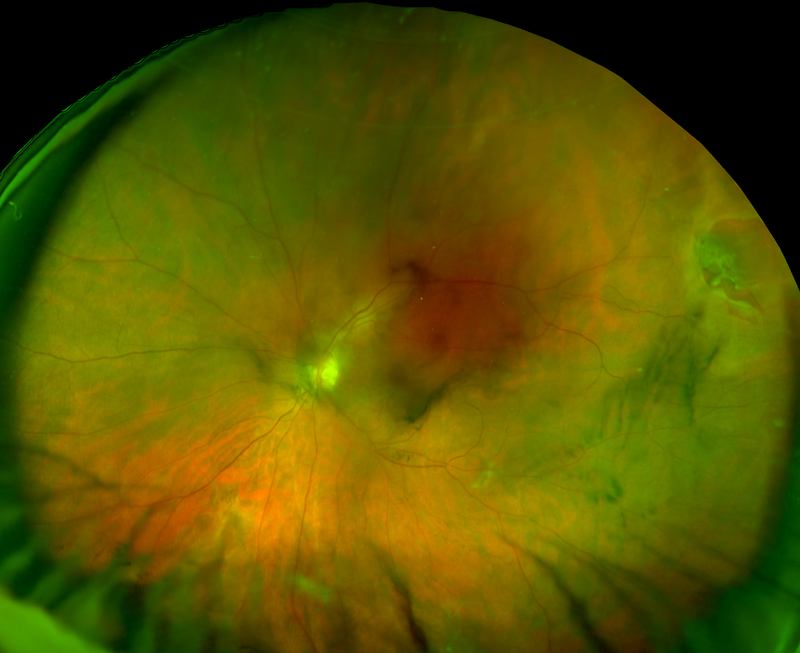 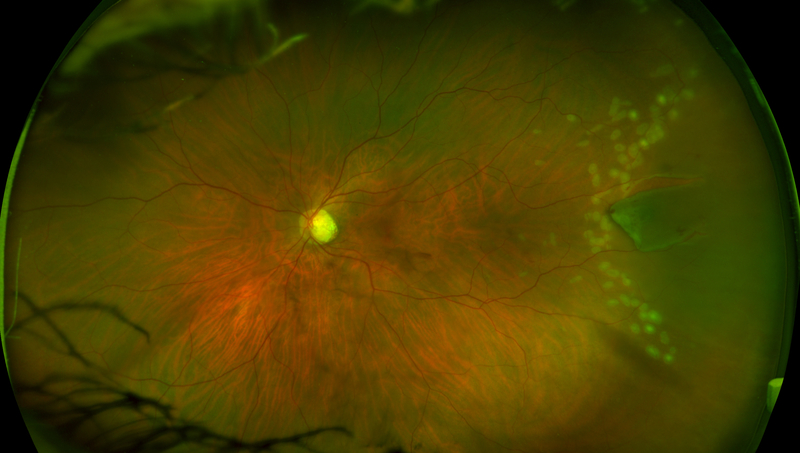 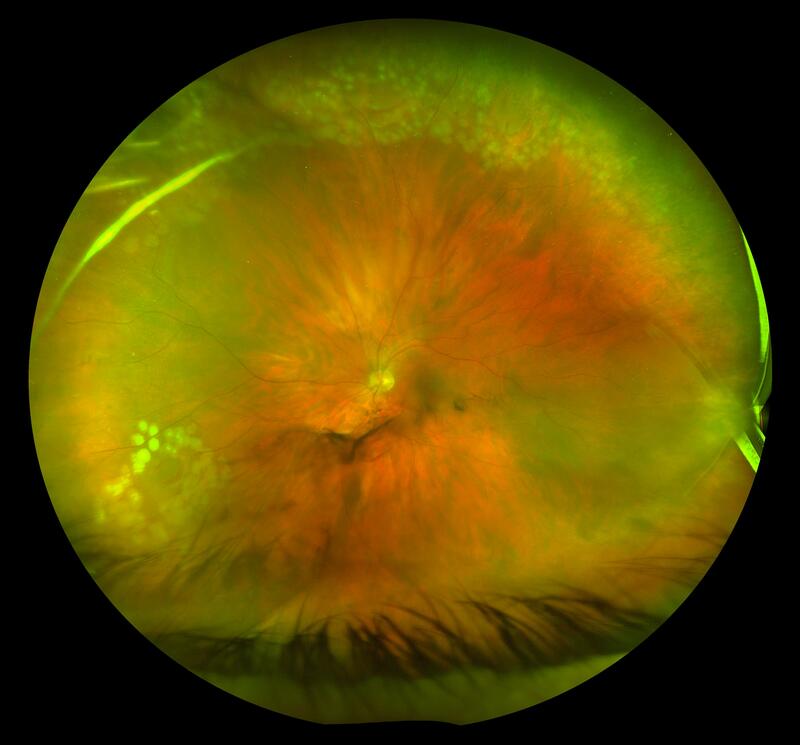 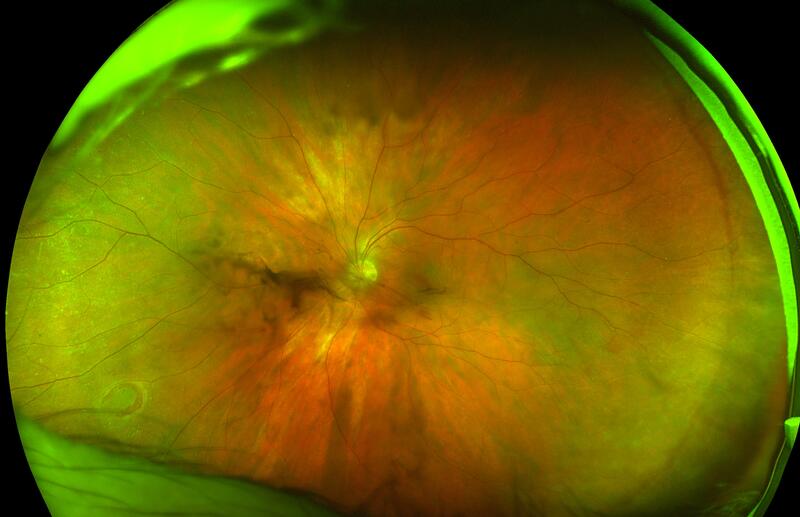 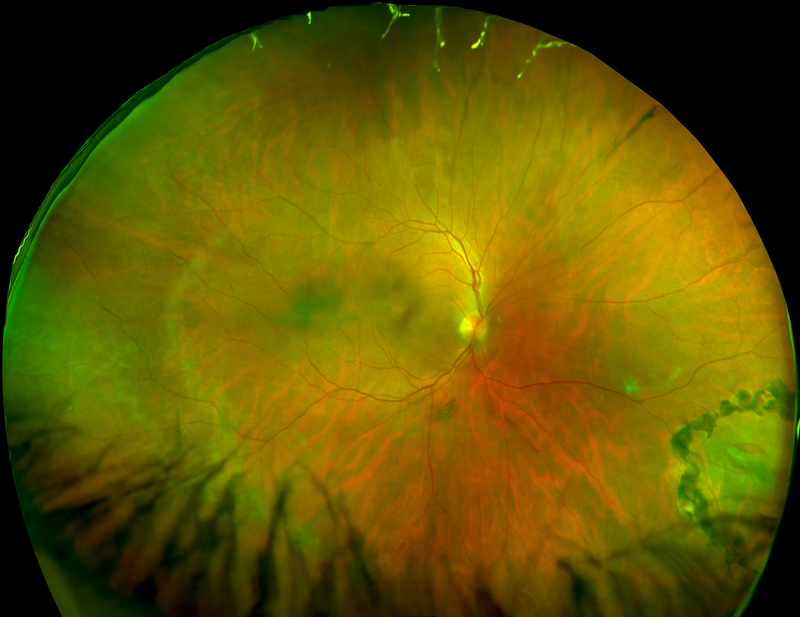 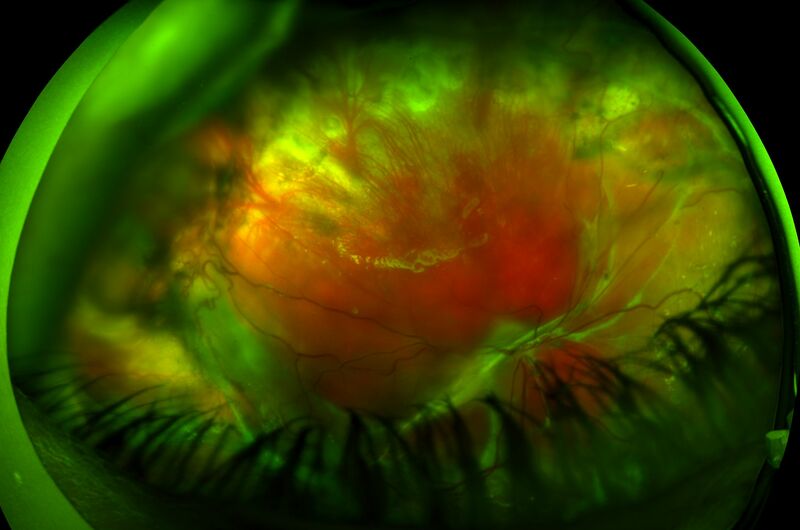 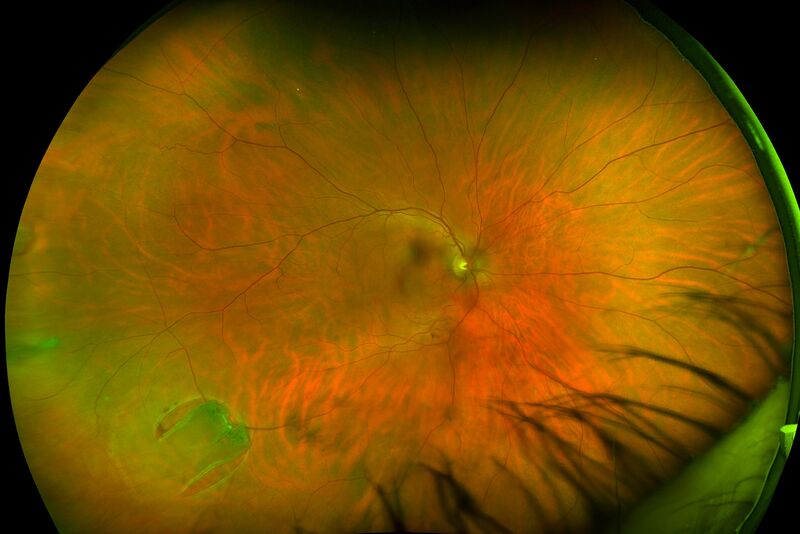 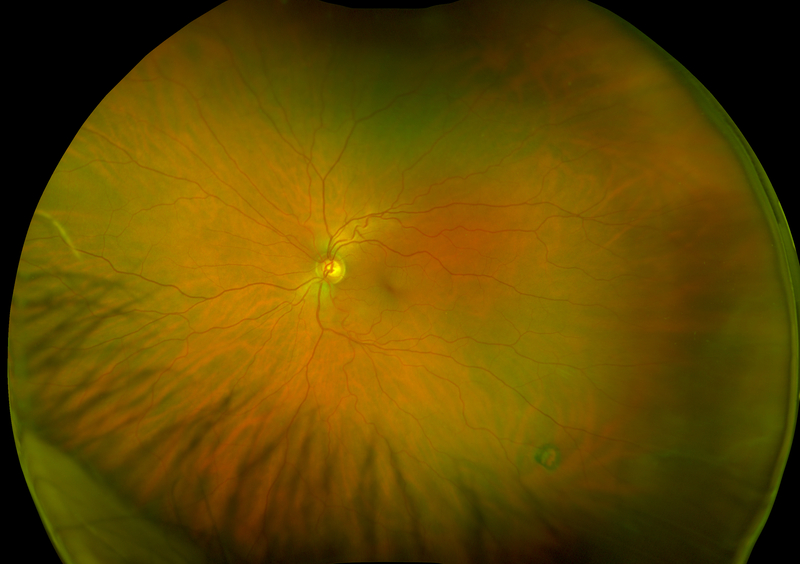 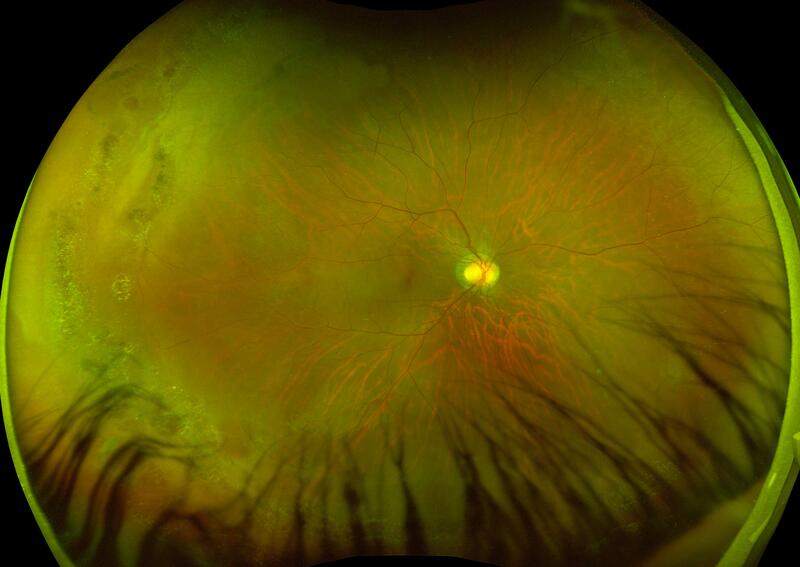 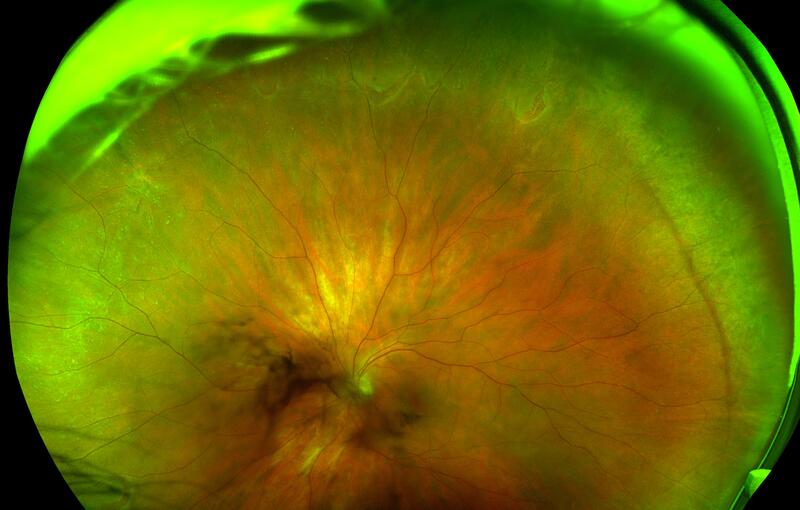 When the operculum is pulled into the vitreous cavity, it suffers degeneration and thus contracts to become smaller. 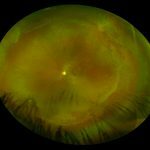 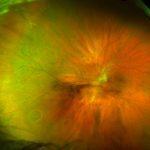 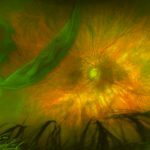 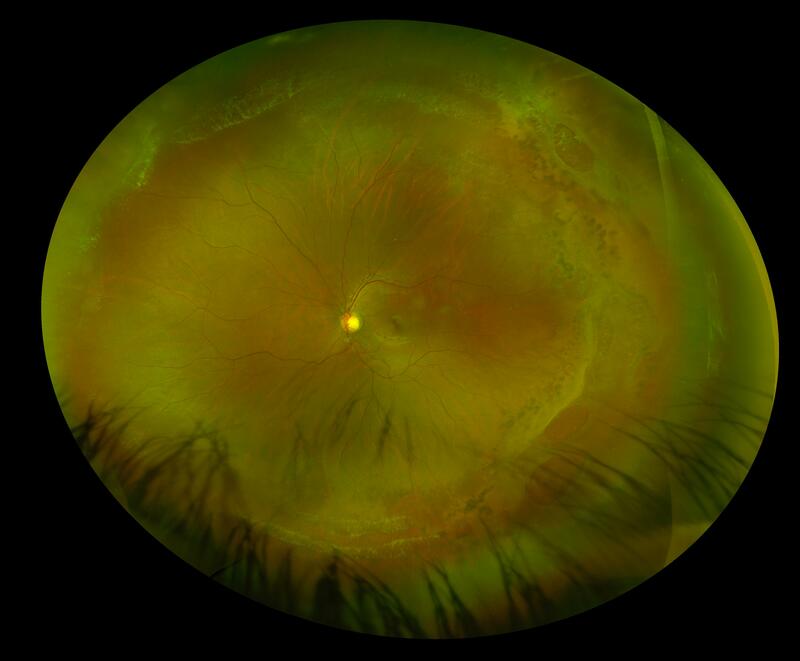 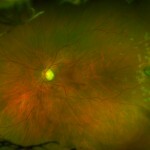 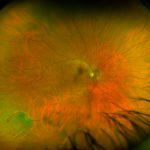 These tears are most often found between the ora serrata and the equator where the retina is thinner than in the posterior region.